NYS Comptroller Tom DiNapoli, guest speaker at the Rockland Business Assn. May 18 luncheon, praised its Mid-Hudson Regional Economic Development Council’s two members, President of Rockland Community College, Dr. Cliff Wood (retiring June 30) and RBA President/CEO, Al Samuels. With credited courses and apprenticeships/internships geared toward creating a viable education/employment program, theirs has been a successful collaboration. 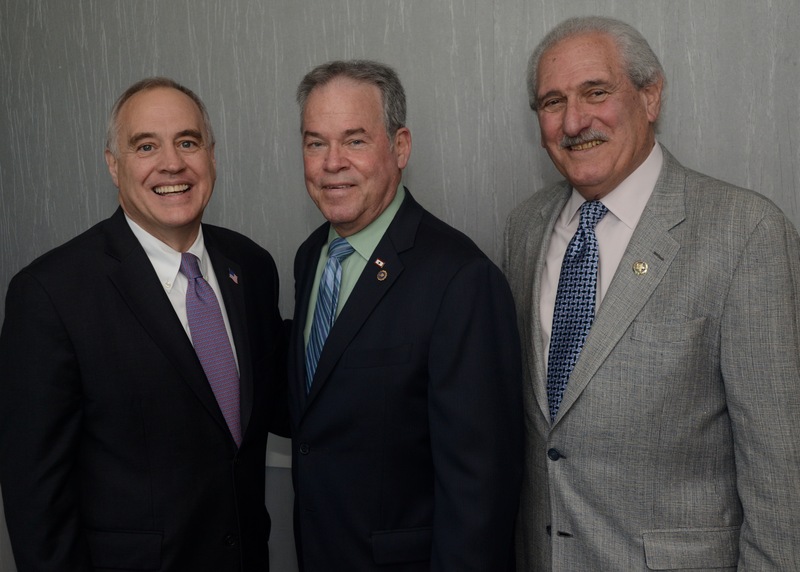 DiNapoli spoke to more than 200 guests at the Crowne Plaza in Suffern. DiNapoli acknowledged losing older residents leaving the state but said the loss of Boomers is compensated by incoming Millennials and Gen-Xrs. “The Mid-Hudson’s strength is its location and a well-educated population,” said the Comptroller. He reassured listeners the NYS Pension fund remains healthy, with an 11.34 percent return on investment for the fiscal year ending 2016. The $192 billion fund, which covers one million state pensions, is managed by the DiNapoli’s office. According to a report released on the heels of the Comptroller’s visit to Rockland, Empire State Development (ESD), New York State’s chief economic development agency, failed to meet more than half of the reporting requirements for tax credit and job creation programs, diminishing transparency and accountability. One issue that DiNapoli and RBA President Al Samuels differed on is the prospect of a state constitutional convention. While the RBA leader Samuels believes a convention could benefit the state, DiNapoli does not believe opening a convention would be wise a course of action.